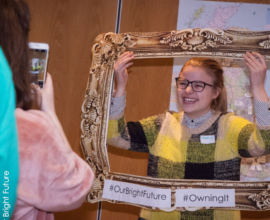 Share, Learn Improve Coordinator, Nikki Robinson shares her thoughts on the Our Bright Future all project seminar. As the sun peeked over the horizon one Tuesday morning in April, all around the UK people were on the move… from Northern Ireland, Wales, Scotland and England they came. 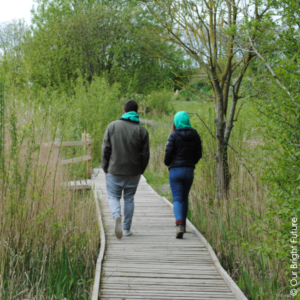 From remote rural communities and inner cities almost 100 people flocked towards Brockholes Nature Reserve in Lancashire. Why? 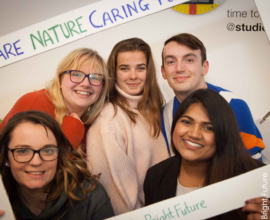 Because this was the Our Bright Future seminar – an annual get together for all 31 projects and the Youth Forum that form the Our Bright Future programme. This ‘coming together’ represents an important opportunity for everyone. Heads down in our day jobs, it’s easy to forget that we are part of a bigger movement for change. But through the seminar, we shared knowledge and learnt from each other. Both of which are critical for continued improvement and maximising the impact of Our Bright Future. To host the seminar, we wanted a venue where one of the Our Bright Future projects was located and had the ‘wow’ factor. 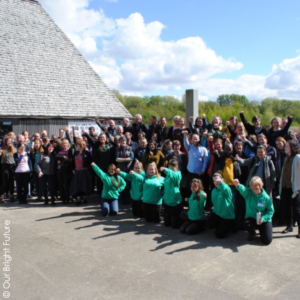 Brockholes Nature Reserve certainly fitted the bill! 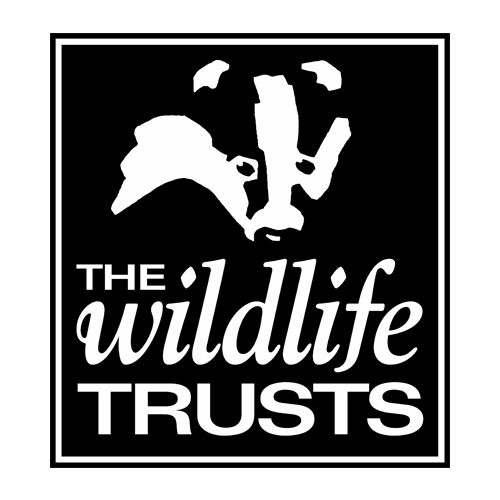 It’s home of the MyPlace project which is managed by The Wildlife Trust for Lancashire, Manchester and North Merseyside. This former quarry was purchased by the Trust in 2007 and transformed into the beautiful reserve that resides there today. The floating visitor centre is truly iconic. It was very special to revisit highlights from year one together. The quotes from young people were really moving and demonstrate the significant impact that Our Bright Future is already having. The seminar was an opportunity for the Youth Forum to be in the spotlight. To hear them speak with such enthusiasm and passion was awe-inspiring but they took it all in their stride and thoroughly deserved the applause that filled the room. 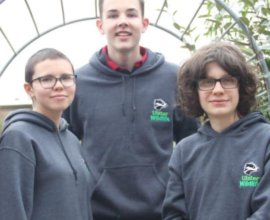 One quote especially stood out for me: an 18 year old apprentice with the Yorkshire Dales Millennium Trust’s Green Futures project said, “I got involved with Our Bright Future because I wanted to prove to people that I could do it. And that if I can do it, anyone can…” Personally, I think he is selling himself a little short; the fact that he is single-handedly going through the lambing season, participating in an apprenticeship and took two days out to attend a seminar demonstrates his commitment and deserves commendation. We also had time devoted to Open Space Technology – a process that has no predetermined agenda but uses a theme, an invitation or a question to frame the session. Our frame was ‘How do we maximise opportunities and make Our Bright Future bigger, better and stronger?’ We then invited conversation topics under this umbrella. Conversations ranged from how to bring projects together more frequently on a regional basis to developing an understanding of the systemic change required to safeguard the environment. Personally, I found the seminar deeply satisfying on many levels – to get everyone together, learn more about the projects and discuss programme progress was fantastic. But it’s the stuff that doesn’t appear on the agenda that is so valuable – the conversations over coffee or lunch, the anecdotal experiences that are shared, the journeys that people have been on (metaphorical and literal!) and the connections that are made. The value of an event like this reminds us that we are all working together to create a better future for young people. That together we are stronger and more powerful. That together we are taking responsibility and ownership for making the world a better place. That together we are Our Bright Future.